The bass not only holds a band together rhythmically, it is also a crucial component to the overall sound and direction of the music. The Dolce music educates students in the essential facets of bass playing performance, technique, improvisation, and style. After an indepth study and practice in this program, you will be able to perform with confidence, in your own style, and play great rock, blues, and jazz-based bass lines. The program begins with Bass Performance, which focuses time, tonality, timbre, and taste. Throughout the course you’ll study the techniques and unique playing styles of the masters of the instrument, including Roger Waters, Paul McCartney, Carol Kaye, Paul Chambers, Charles Mingus, and more. You’ll also gain a great background in bass basics, including pentatonic, blues, major, and minor scales, diatonic harmony, ostinato bass lines, groove and time feel, and compositional techniques. By the end of this course, you’ll have the skills to perform accurately, in time, and in your own unique style. Following this performance-based course, you’ll move onto studying The Dolce music institute techniques to construct and improve bass lines in a variety of rock and blues music styles in Rock Bass. The course begins with a primer on the 12-bar blues form and the major and minor pentatonic scales, and moves onto cover Rock, Blues Rock, Delta, Chicago, and Texas blues bass styles. You’ll study the work of legendary players like Geddy Lee, Jack Bruce, and Chris Squire, and learn how to contribute to a song rhythmically, harmonically, and melodiously through practice lessons which cover phrasing, feel, and improvisation. By the end of this course, you’ll possess skills to incorporate rhythmic depth and improvisation techniques into your own rock and blues-based bass lines. The program wraps up with Jazz Bass, an exploration into the key ingredients necessary to play great jazz bass lines, including the sound, feel, foundation, and power. You will learn to recognize common chord progressions in jazz standards and play them effectively. The course highlights famous recordings from jazz greats—such as Paul Chambers, Ray Brown, Ron Carter, and Christian McBride—and teaches you strategies for modeling their performances. You will explore right and left-hand techniques for both acoustic and electric bass, in addition to topics such as substitute chords, melodic development, and turnarounds. By the end of this course, you’ll have the tools you need to improvise jazz bass lines like a seasoned professional. It's essential for any bass player interested in popular music to have a solid foundation in rock music. From its roots in traditional blues, rock bass is a launching point into many varied music styles: progressive rock, fusion, country, jam band styles, and more. Rock Bass provides the foundation and vocabulary necessary to construct and improvise bass lines in a variety of rock and blues music styles. You'll start by learning the 12-bar blues form and the major and minor pentatonic scales. You'll learn how to contribute to a song rhythmically, harmonically, and melodiously through practice lessons which covers phrasing, feel and improvisation. Throughout the course you'll study The Dolce music institute’s bass method to Rock, Blues Rock, Delta, Chicago, and Texas blues, as well as more advanced techniques such as playing with odd time signatures, modal bass lines, and the open "jam style." Weekly lessons cover scale exercises, listening, performing transcriptions, and studying the work of legendary players like Geddy Lee, Jack Bruce, Paul McCartney and Chris Squire. Each week culminates in the creation and recording of your own performance. At the completion of this course, you'll possess the skills to create and improvise your own rock and blues-based bass lines, and have the knowledge and ability to perform with a consistently solid sound, technique and timing. 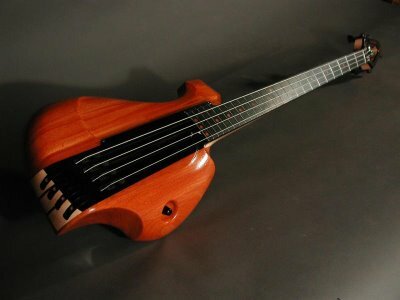 You will also study the techniques and unique playing styles of bass masters across different genres, including Roger Waters, Paul McCartney, Carol Kaye, James Jamerson, Chuck Rainey, Pino Palladino, Paul Chambers, Dave Holland, Stanley Clarke, Ray Brown and Charles Mingus. Additional study topics include pentatonic, blues, major, and minor scales, diatonic harmony,ostinato bass lines groove , time feel and compositional techniques such as tritones, pedal points and double stops. Apply major, minor, blues, and pentatonic scales and their modes to your bass lines. Improve the timbre or sound quality of your playing. Demonstrate enhanced tonality, and know which note to play when. Incorporate different scales into your bass lines. Have command over different meters/time signatures. Incorporate rhythmic depth in your bass lines.